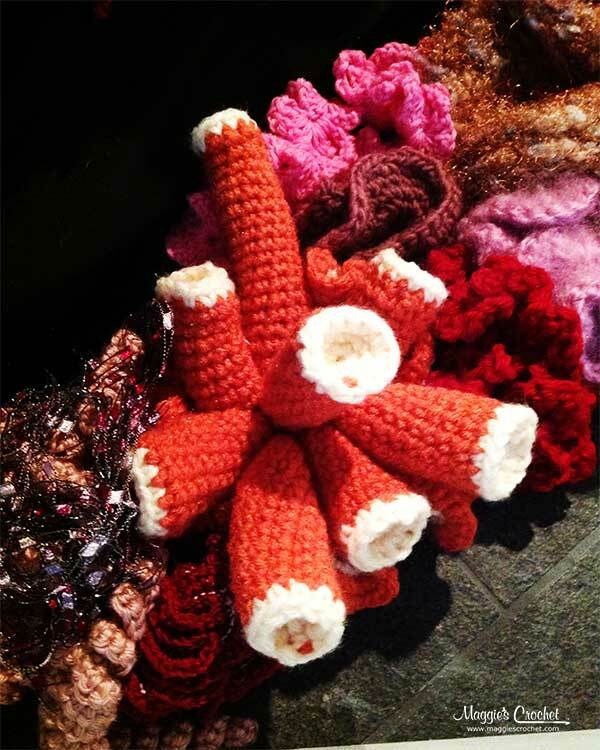 Today’s free pattern is a little bit different in that it is not a traditional crochet project. It’s called the Spangle Metal Rope Necklace, and it is constructed using a 6-peg French Knitter. 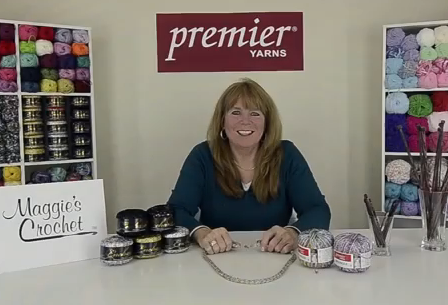 This project uses two of Premier® Yarn’s bling products, Enchant and Spangle. 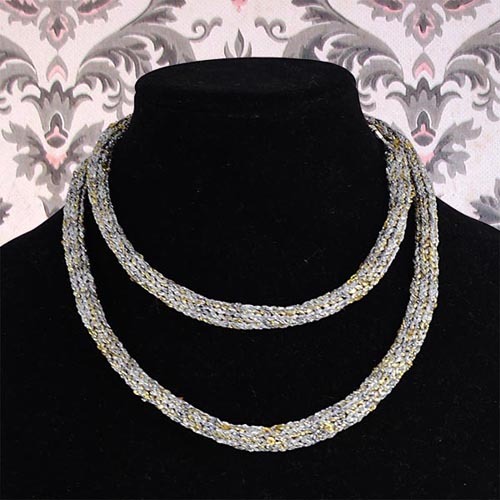 The necklace show above was done in Enchant Spun Gold, and Spangle in Silver Celebration. Enchant is a number 0 lace weight metallic yarn that is perfect for making jewelry and accessories. In addition, it is a perfect carry-along yarn to be used with another heavier yarn in projects like this one. Spangle is a number 3 light-weight yarn that has a touch of glitz. It is also a great yarn for making jewelry and accessories, as well as light-weight garments. One ball of each yarn will make several necklaces. This is how the rope looks when it comes off the French knitter. Gather up your supplies, and get the free pattern here. Remember to click on the “Download free pattern” box on the right-hand side of the screen. Now you know how to use a French knitting loom. Can you think of some other project ideas that you could make with the loom? Here are the quick links to the items and videos contained in this post. 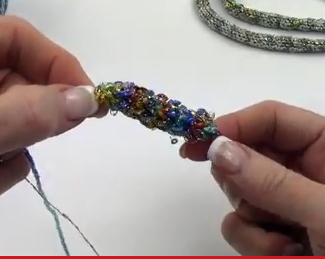 If you enjoy making jewelry, you might want to try the Silver Spell City Life Beaded Necklace.